We all know sermon preparation is important, but this article answers the specific questions: “What kind?” “How much?” This article was originally published by Preachers Institute in June of 2009, but remains a regular favorite, according to the traffic we get. We are reprinting it here, to be followed by several other reprinted articles, to celebrate our new and improved website. “Proper prior planning prevents poor performance.” Every time I say this, my wife throws something at me. 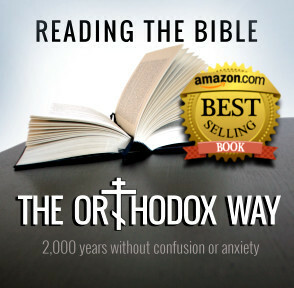 Nonetheless, and dodging household missiles aside, every Orthodox clergyman or preacher who preaches a homily knows well that preparation is essential for successful preaching. What kind of preparation, how much, and in what order is somewhat more amorphous topic, and often draws ambiguous answers, even from highly experienced clergy. In this article, I propose an easy to use guideline for sermon prep which establishes what to do, when to do it, why it is important, and what it leads to. As you can see in the diagram, the Preaching Pyramid considers the preparation and delivery of a sermon as a whole work. The Pyramid in the diagram is nicely color coded, and divided into sections with “Preaching the Sermon” as the capstone of the work. As one must begin at the beginning, preaching, I believe, begins at the base of this Pyramid. 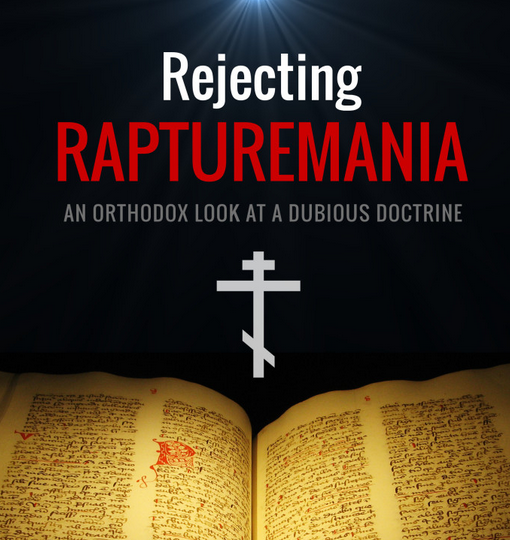 No one seriously believes that a preacher should not approach the task of preaching without prayer, but that being said (or in this case, written), who will answer the questions which naturally should follow? How much prayer? What kind? When? Where? In the Preaching Pyramid, the answer is simple. If the task of preparing and delivering a sermon is considered a whole work (100%), and, according to my reckoning, only 5% of that is actually delivering the sermon, then 50% of the preparatory time is devoted to prayer. That is, if you regularly deliver a 30 minute sermon, then your prayer time in preparation for the sermon should be about 300 minutes, or 5 hours of prayer. Five hours. 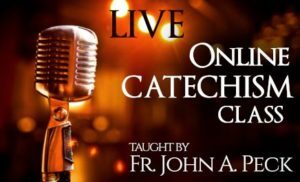 This five hours should be devoted to interior prayer, contemplation of the Divine Scriptures, and some significant intercession on behalf of one’s soul and the state of the lives and souls of your listeners. One should never lose sight of this. If the preacher is not praying here, it doesn’t matter where else he prays. It is as if he has prepared for a foot race, but has not shown up at the starting line. Prayer in anticipation of crafting the sermon should begin the day following the Sunday Liturgy, and continue right up until the moment one invokes the name of the All-Holy Trinity to begin preaching. Life and its cares will take us away from this prayer, but we must make a habit of returning to it. Only in petition and interior silence can we fulfill our calling as preachers of the Gospel, not announcers of it. In the Preachers Pyramid, preparation makes up 30% of the work. Therefore, if one preaches for 30 minutes, one should make solid, formal preparation for the sermon taking at least 3 hours. Now, I know very well that this is not much time for sermon preparation, but I’d like to point out that it is at least 3 hours of solid, formal preparation, not 3 hours of thinking about it. This is the time to sit, to write, to read useful material. Intense study of the Scriptures, the fathers, commentaries, dictionaries; this is all standard fare. You may also select what secular material is useful for you. I’m not talking about sermonizing on the morality of Star Trek, or the symbolism of The Truman Show. I’m talking about books like the works of Milton, Dickens, contemporary books on marriage, etc. These have real value, and you do not need to reinvent the wheel. Prayer will help guide your preparation. Preparation is also not the activity of committing a sermon or outline to memory. On our Pyramid, delivery preparation is praxis. Praxis, in the Pyramid, is the action of preparing to deliver the sermon. To this we give 15% of the task. For a 30 minute sermon, at least 90 minutes. Ancient classically trained orators and rhetoriticians taught themselves to speak from memory, by memorizing an outline of their speech, assigning one section of their topic to each part of their own home. As they mentally walked through their house in their mind’s eye during the speech, they recalled the topic associated, and all its ancillary points. As a result, with proper preparation, they were able to speak for great lengths of time, with precision and passion, without ever losing their place, or getting too sidetracked. They knew the path of their speech, and did not deviate very far from it. Whatever the method used to prepare for the delivery of the message, it should not be haphazard. This is an important work. People may come out of curiosity, habit, default, obligation or even guilt, but they come back for good preaching. Visitors especially are affected by good preaching – it is what brings them back. Visitors don’t worship, if they pray, they don’t pray much, and mostly they are wondering if they are safe in your church. The right message will answer that question for them. does not make good presentation of your message, however good and necessary your message is. You will have your listeners attention if they can easily and comfortably hear what you say, and believe that you believe it without apologies. When the moment to deliver the good news arrives, the preacher steps forward to open his throat to a fatigued but hopeful crowd. Life has beaten them down. They’re tired, and they are looking forward to refreshment, to someone who can walk the walk they talk. They are looking for a father, during a time when fathers are portrayed as incompetent and lazy, and fatherhood is understood too often as neglect, abandonment, or patriarchal tyranny. Smile. They’ll think you are happy, or you are an idiot. Either way, you’ll surprise them with your competence. When preaching, here are a few other helpful suggestions. Mention Jesus Christ by name. You’d be surprised how often this gets left out of a sermon. Preach the Gospel using the simple words of scripture. I’m an English major. I learned early as an undergraduate that if you can’t express a proposition in a simple declarative sentence, you probably don’t understand it. Here are the words St. Paul used to preach the Gospel: “Christ died for our sins in accordance with the Scriptures, and that He died and was buried, and that He rose again on the third day in accordance with the Scriptures; and that He appeared to (many)” (1 Corinthians 15:3-8). That’s the Gospel. Preach it. Repetition reinforces learning. Tell you audience what you are going to tell them, then tell them, and then tell them what you just told them. Stop at the end of your sermon. Knowing when to end is even more important than knowing how to begin, so you should definitely know where you are going to end before you begin. Too often, too many preachers give two sermons when they should only give one and they lose their audience. The end of a sermon is not a new beginning. End it! Once the sermon is done, during the short walk back to the altar, a prayer of thanksgiving is in order. Sometimes you know when you hit it out of the park. Sometimes, you know you struck out, and sometimes, you just don’t know anything. Recording your sermon, reviewing notes used, adding things you said which you did not plan; these should all be part of a quick Monday wrap up evaluation. Keep the outline or text of your sermon, listen to what you said. If it can be video recorded watch yourself preach. This is the first step of next week’s sermon: Review and evaluation. This is worthy of a separate article. Stay tuned. Although it is very gratifying to be told your sermon was wonderful and had meaning to someone, every honest preacher knows that it is truly constructive criticism that helps one improve. Improvement in any endeavor requires specifics to measure, and areas to rate and score. These may be subjective, but even subjective standards are standards, and that means they can be raised. 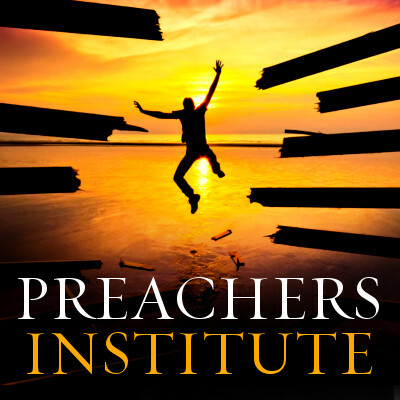 The Preachers Institute will hold workshops to do precisely this; take preachers, get them to preach, and get them to evaluate preaching – their own and others. 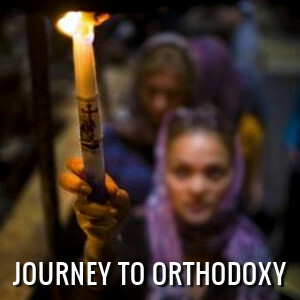 We have no preaching awards or competitions for clergy in Orthodoxy. We should. We will. You know the old saying, “I don’t know much about art, but I know what I like.” This is easily applicable to homiletics. For the homilist, of course, this is an unacceptable state of affairs. Measurable categories of performance are available and must be broadly disseminated to benefit every professional preacher in Orthodoxy. Every priest need not engage such personal homiletics evaluation, but every preacher should know how a sermon is evaluated. In other words, what makes a good sermon good, and more importantly what makes a bad sermon bad. Ideally, the Preaching Pyramid itself provides a measurable standard by which the homilist may measure the prayerful preparation, formal construction, anticipated delivery, and the Spirit-filled act of preaching the Gospel, and that, indeed, is the purpose of the Preaching Pyramid. Fr. John A. Peck is the pastor of St. George Church of Prescott, AZ.